Emily Simpson's Olympic dream is threatened by an internet gambling syndicate. Her father, Steve, is sailing in the Paralympics. Speculation about a father/daughter double gold puts both under threat. Cover design by Guy Nicholson. Central photograph by Alan Franklin. Jacket by Cradduck Design Alresford. Emily Simpson's Olympic dream is threatened by an internet gambling syndicate. Emily and crewmates Chloë and Erin are selected to sail for Britain in games held in the mysterious South American country of Olifa. Emily's father, Steve, is sailing in the Paralympics. Speculation about a father/daughter double gold puts both under threat. Former Olympian Steve recovers from a stroke to rediscover his love of sailing. Emily's Danish mother, Kirsten, lives in the shadow of her family's wartime disgrace. Rumours circulating about Emily's ancestry bring her and partner, Tom, in danger from a deluded stalker. 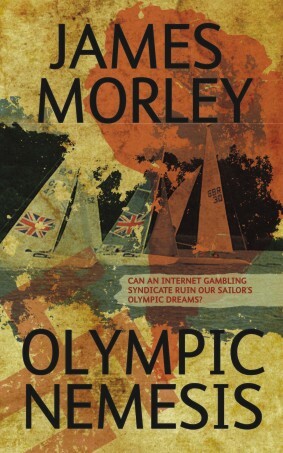 Jim Morley has sailed and raced small boats all his life. He spent forty years in agriculture and forestry before changing to a career in freelance writing. He lives near Petersfield in Hampshire and sails a small family yacht on Chichester Harbour.